Dates are among the most ancient of fruits. It's a universal nourishing fruit. It is held in high esteem from ancient times. It is a cylindrical food of reddish brown colour. It has fleshy pericarp surrounding a single seed containing 60 to 70 % sugar. It is available in fresh as well as dried form. 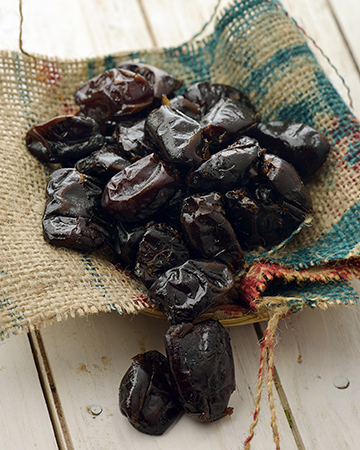 Dates are nuggets of nutrition that satisfy a sweet tooth, making them ideal snacks to stave off hunger. Dates are availale in the market in 2 colours - black and a little dark brown in colour.